(Disclaimer…I’m still beaming with Chicago pride at the Stanley Cup Champion Chicago Blackhawks, so this post may be a bit over the top for any out-of-towners). Last night was one of the best final minutes of any sporting event in recent memory. What a great ending to a tough series! Seems like many of the selling situations we’re in become tougher by the year as well. 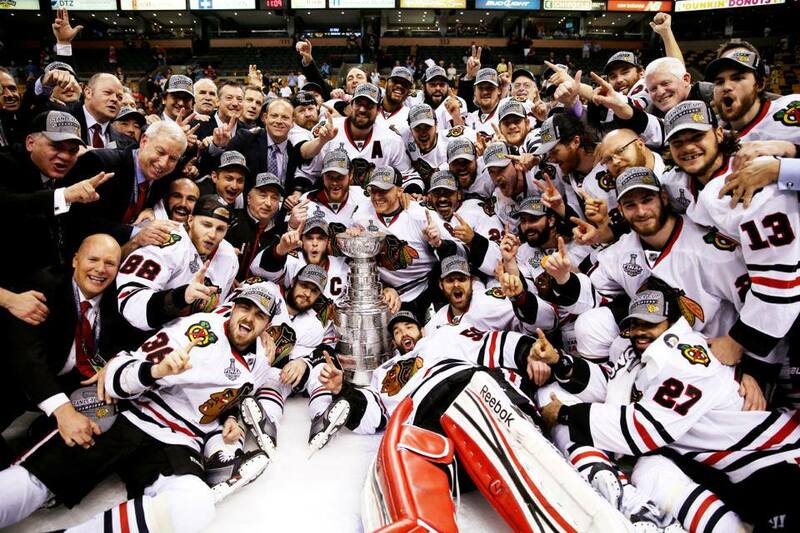 So what lessons can a salesperson (or any competitor for that matter) glean from the 2013 Blackhawks? It’s not over until the buzzer. Really – until. the. buzzer. Play through. Whether your winning or losing, it can be taken by you or taken from you in the final minutes of the game. The tying and winning goals were scored within 17 seconds in the last 1.5 minutes of that game. You need to play with all you’ve got until you’ve got the ink. Listen to your coaches. Joel Quenneville helps his players out. He gives them credit and they help each other win. He now has 2 Stanley Cups as a Head Coach. He got there by supporting his players. You need the support of a coach too. You know what to do…Connect with a good coach in each selling situation (are those situations without an internal coach really worth your time anyway?). Don’t listen to your critics (or at least neutralize your detractors). Chicago goalie Corey Crawford said it best when the smack talk started about some perceived weaknesses. “I’m not really listening to it,” he said. “I have a job to do and whatever is being said is not going to affect what I am going to do on the ice.” Good advice. Prepare. No one cares more about your success than you do. During the NHL lockout that threatened this season, Team Captain Jonathan Toews organized informal workouts with the team. How often do you go the extra mile to prepare for a big sales meeting when no one is looking? This entry was posted in Sales and tagged Chicago Blackhawks, motivation, Sales on June 26, 2013 by Tim Kocher. I like Les Brown’s “It’s not over until I win! !” Great analogy though (even though I’m a wings fan ;)) Keep up the good stuff!